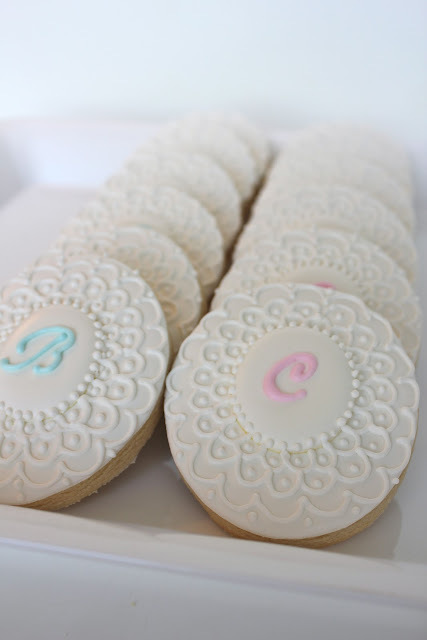 There must be something in the water, I have been getting SO many baby cookie orders and inquiries. Here is yet another set for two cute six month old twins getting baptized. I always love when someone has a clear picture of what they want AND they are obviously artistic and know what looks good. Loved doing this cookie order. She also ordered a six inch circle that went on top of a cake as a topper. I love them Caitlin! Thanks for taking the time to post!